We supply and install wood and multi fuel stoves as well as oil and gas central heating systems and air to water heat pumps. Ecovolt is an Irish based company, built on the foundry of developing innovated heating systems and controls. We also pride ourselves on delivering great customer service. With a range of heating products including our JouleTherm Electric Ceramic Radiators which are manufactured using latest thermal technology combined with electronic thermostats. The radiator used modern kaolin/ceramic elements, heating up extremely quickly and retaining the heat efficiently. The JouleTherm radiators are a key alternative to out-dated, inefficient and uncontrollable night storage heaters. We've also developed the world's thinnest radiator! Ecovolts new 24v Jouletherm CeP electric heating system can turn any plasterboard wall into an energy efficient radiant heater using paint! This product has been described as one of the most innovative heating product on the market to date. Our most recent product, the JouleTherm H20 is one of Europe's most efficient hot water system, using 75% less electricity than traditional electric water heaters on the market. The Jouletherm H20 takes waste heat from the surrounding air to provide hot water. Visit <a rel="nofollow" target="_blank" href="http://www.storage-heater.ie/">http://www.storage-heater.ie/</a> for expert storage heater repairs and replacement services in Dublin. When it comes to electric storage heating, there is no better company to choose. Our RECI registered technicians and solve issues with all types of makes and model, from new to old and installations. Being part of the Infinity Electrical group, we are a very reliable and trustworthy 100% Irish company who always puts the customer first. All parts and labour are fully included in our online set prices guaranteed. Electric heating systems are very common in apartments but are very prone to repairs. The more modern models are a lot more energy efficient and need a lot less maintenance. Sometimes a full replacement to a more superior modern one is the best option for the long term. 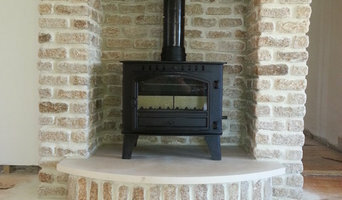 Other types of heaters we repair and replace are mounted fires, bathroom and panel. Whether you are a domestic or commercial client, we can take care of your 24/7 365 days a year. Our customer support is second to none, just read some of our reviews and testimonials and see how reliable we really are. If you need any further information in relation to electric storage heater services, (link) then call or email us anytime. For very professional broken immersion heater repair services in Dublin, then visit us at <a rel="nofollow" target="_blank" href="http://www.immersion-heater.ie/">http://www.immersion-heater.ie/</a>. If you think it may be broken or is not heating your water, then call us anytime for help. Our guarantee is a reliable same or next day repair that is efficient and affordable. If you find any part of it faulty, our team of RECI registered electricians are ready to sort it out. We also can repair unvented and solar immersion systems such as Megaflo. In our vans, we have all the essential equipment and parts to get the job done to perfection. If offer a set price repair service and the quote you get over the phone is the guaranteed amount you pay with no hidden charges. We can also repair all systems related to your sink bath or shower, there is no job too big or too small, so don’t be afraid to contact us no matter how small you may think the issue is. Being a part of the highly accredited Infinity Electrical group, we have an extremely reliable fast emergency 24/7 response team. Catering for both domestic and commercial immersion heater systems throughout Dublin and surrounding areas. Give us a call anytime! Choosing Warmup as a supplier for a project, one can be assured of cutting-edge technologies from a global provider. Warmup offers a wide range of products and solutions to effectively meet heating requirements in any project: Energy consumption can be monitored effectively, helping to reduce energy costs; Systems can be controlled online or integrated with the building management system; Additionally, a complete range of snowmelting solutions can be provided to protect driveways, pathways, stairs, roofs, gutters and pipes, against snow and ice. Warmup systems are designed with our customers in mind, offering the best system according to customers needs, optimally designed and perfectly commissioned to work in exactly the way we advised beforehand. Really, that is the Warmup guarantee. Dublin Gas Boilers are committed to providing their clients with the highest quality service as well as continuously improving our service delivery in each aspect of how our business operates. 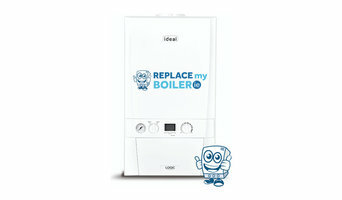 We ensure that our gas boiler functions well which you could not hear it while switching on. Also, you may not hear any distracting noises. Our gas boiler has compounds structure where it is easy to fix. Although we may not always need air conditioning with our British summers, an air conditioning installation specialist will be able to install climate control systems in your home that can adjust your whole house’s temperature with a few pushes of a button. So even if we do have a midsummer heat wave, you’ll be able to keep your home refreshingly cool with Dublin air conditioning services. For most homeowners, your central heating will be a typical gas or combi boiler and radiators set up, and you can find heating and gas engineers for boiler maintenance in Dublin near you, with Houzz. But even if you already have your whole heating system set up, you can still use Dublin heating engineers to install new radiators for you – you don’t have to stick with plain white panel radiators. Talk to a radiator company to discuss towel radiators, radiator covers, vertical radiators or cast iron radiators to bring a bit of style to your heating installations. If you’re building a new home or completely renovating a house, then it’s your chance to hire Dublin heating and home air conditioning installation services to put in place your ideal climate control system. Underfloor heating is no longer a luxury reserved for the privileged few; with electric underfloor heating mats it’s simple and easy to install these days and you’ll easily find lots of underfloor heating installation services on Houzz. If you really can’t stand the heat in the summer, Dublin air conditioning companies can install systems that will keep your home cool and crisp throughout the summer. You can choose Dublin air conditioning services that will install individual units for individual rooms, perhaps you only want them in your bedrooms, or air conditioning companies that can implement systems for your whole house. Energy efficient homes are becoming more and more popular as we all try to become more eco friendly, and one of the best ways to save energy is insulating your house. Heating engineers in Dublin will be able to advise you on the best way to insulate your home and the most efficient method of heating it. There are also now many digital thermostats that can be controlled remotely, so you can turn your heating off and on at the appropriate time without wasting energy when no one’s home. With a climate controlled house, you’ll also be able to only heat or cool certain rooms when necessary, stopping energy being wasted on rooms that are used less frequently. Even if your Dublin heating and air conditioning engineer cannot advise you on insulation or energy efficiency, they may be able to put you in touch with someone that can, and even be able to recommend other contractors for related air conditioning services and heating jobs. It’s likely that you’ll be able to find photos of their previous projects, reviews and ratings from clients, right here on Houzz. Here are some related professionals and vendors to complement the work of heating & air conditioning: Specialist Contractors, Main Contractors, Solar Energy Installation, Electricians. Find HVAC contractors on Houzz. Look in the Professionals section of our website and search for Dublin heating and air conditioning engineers. Read reviews and see previous air conditioning installations and heating installation projects.